Park City Multiple Listing Service (PCMLS) is converting from CoreLogic’s Matrix system to FBS’s FlexMLS system as their primary technology platform. This change will begin on April 24, 2019 when the FlexMLS system will be turned on and available to PCMLS subscribers in “parallel” mode. When operating in parallel, new listings (and listing changes) will be entered (made) In the Matrix system and will then be copied to the FlexMLS system. Agents may search and run reports in either system and are encouraged to do so in order to (a) become more familiar with FlexMLS and (b) insure that the reports and queries produce the same results in both systems. This is the final shake-down period before going live on May 20. After May 20, all activity, including listing input and change, will occur on the FlexMLS system and the Matrix system will be shut down. The following responses will help answer questions that may come from the membership about this change. Why are we changing? I liked our old system. 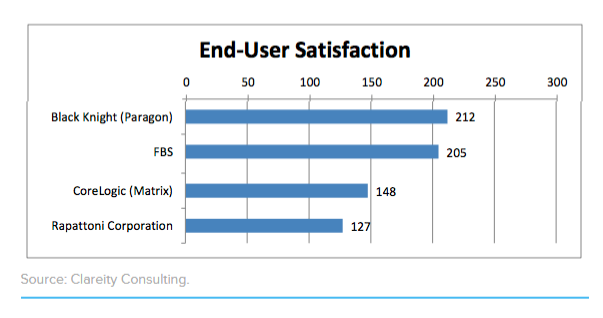 The contract with CoreLogic for Matrix was due for renewal. It had been over three years since PCBOR last looked at MLS vendor technology and we knew a lot had changed during that time, that many advancements had been made and that exciting new technology was available. The directors felt it was their fiduciary responsibility as leaders of the board to examine the marketplace and evaluate possible replacements. We found two surprising things when we did our due diligence. First, the mobile technology embodied in the FlexMLS system had advanced much faster and further than desktop or tablet applications, or the mobile solution offered by Matrix. This spike in mobile capabilities was parallel to the increased demand coming from our members for mobile applications. Second, the overall capability of the FlexMLS system compared to Matrix was far superior, particularly in those areas where an agent can customize the application – the reports, the searches and the maps – to fit their individual needs. Plus, it was lightning fast. Wasn’t the Matrix system good enough to meet our needs? Do I need to do anything before we make the switch? Yes. You will need to learn the new MLS system. PCMLS will begin offering classes on the FlexMLS system in early May. Classes will be scheduled at both the PCMLS offices and at an off-site location (to be announced). Classes will be available at several times, including some evening classes, to accommodate your busy schedule. In the meantime, if you want to learn about FlexMLS before the classes start, you can watch some of the presentations by the FBS training team. A calendar of upcoming classes is available at https://www.flexmls.com/training/. Also, a complete library of training videos is available on YouTube at https://goo.gl/fk76cT. These were created for the Maine MLS, but they will be the same for Park City system. How will the transfer of client base and emailing drip system work with the new MLS system? Is it something I must do manually 1 by 1? Once upon a time when an MLS changed vendors the subscribers had to manually reenter all their prospects, saved searches, drip email instructions, etc. Not anymore. FBS has made great strides in translating those items from the old vendor into the Flexmls system. With a few isolated exceptions, your stored work and information should move seamlessly to the new system. The exception will be where a specific search term has moved from one field to another because of the mandate from mother NAR that we comply with the industry standard data layout and dictionary. For example, “Sump pump” was moved from the Sewer category to the Basement category since most are used to pump out flood or rain water, rather than sewage. So if you have a saved search where one of the parameters was “Sewer=Sump Pump” you would have to manually edit that one to change it to “Basement=Sump Pump”. Like I said, there are very few such field changes and we will provide an entire list for reference. Once we start running the two systems in parallel in late April, we will ask agents to check all their saved searches and email campaigns to make sure they translated correctly. But we’re confident that most will make the crossing with little or no difficulty. Is there a prototype we can sign onto and start playing with the new system? Why don’t we just merge with the Wasatch Front Regional MLS In Salt Lake City? Wouldn’t that be easier than this conversion. Yes, it would be simpler. But most Park City members want to maintain their independence and guard it fiercely. I know there are more than a few agents out there who belong to both Park City and WFR MLSs. The two markets are very different and historically the Park City Board of Realtors has stressed that difference. PCBR prides itself on the personalized service that a small MLS can offer its subscribers that a huge regional cannot. PCMLS is also very conscious of the value of its sold data and is constantly vigilant to ensure that the Park City Realtors can use that information to help their clients make informed and educated decisions about their housing needs. We also know that the leadership at WFRMLS is concerned that a small, progressive, forward thinking Realtor association like Park City may expose the antiquated system that WFR has been operating for years. They are clearly concerned about PCMLS offering you the most advanced, fastest, and most flexible MLS system available when we make our conversion to Flexmls in May. That fear is obvious from their recent marketing campaign that encouraged PCMLS members to drop out of Park City and join WFR rather than learn the new system. We are pleased that our members see the value of being a Park City Realtor and look forward to delivering to you the most advanced, fastest, and most flexible MLS system available when we make our conversion to Flexmls in May. What major changes will we see in the new system? Commercial now has two property types: Commercial For Sale and Commercial for Lease. There are two new statuses for Single Family and Condo property types: “Active – Reservation” (defined as available for reservation, but not yet platted or assigned a Tax ID number) and “Reserved” (defined as Pended for Active-reservation type listings). Sump Pump moved from Sewer field to the Basement field. Mobile and Modular moved from Construction field to Style field. I have two websites that use IDX integration to pull data from the MLS to the website itself. What will the process be like to transfer this over? The answer depends on how data gets from PCMLS to your website. Most likely your website was built and is maintained by a third-party vendor or by your broker’s IT department. If that’s the case, it should be a no-brainer for you. We will start running in parallel near the end of April. IDX vendors will be notified and given a new URL to connect to our data servers and can make the switchover anytime between April 24 and May 20 with no apparent impact on your service since the listings will be the same in both systems. If by chance you are one of those incredible people who has the tech skills and inclination to maintain your own website and set up your own data feed, then we will work with you directly to convert your data feed to the new system. I really did not like our printout formats in the old system, but there was no way to change them without an act of Congress. Will that remain true in Flexmls? 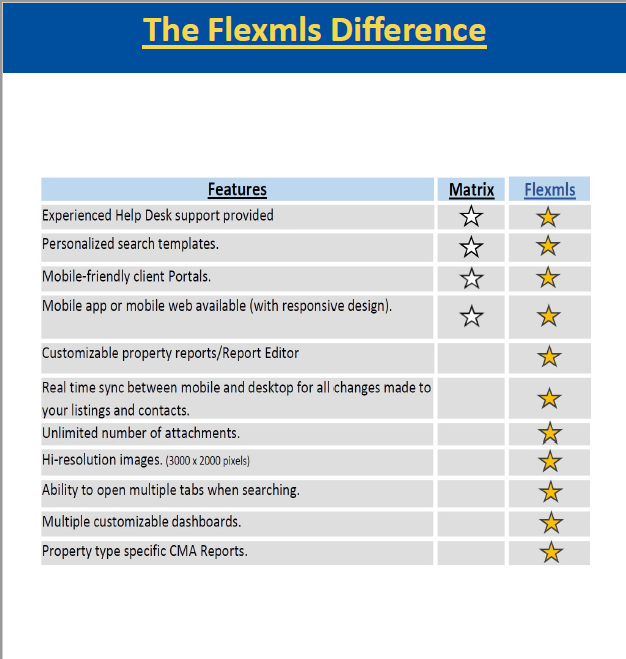 One of the major selling points of Flexmls is that agents who don’t like the reports/printouts can redesign them and customize them to their own needs and preferences. Their forms tool is pretty much like a word processor. Just drag things around the screen until you get them where you want them and then save the form. I think you’ll like it. Where can I find out more about the conversion? We have created a web portal dedicated to keeping you up to date on our progress toward a May 20 conversion and cutover. You can sign up for newly scheduled classes or ask questions of our FlexMLS team at PCMLS.